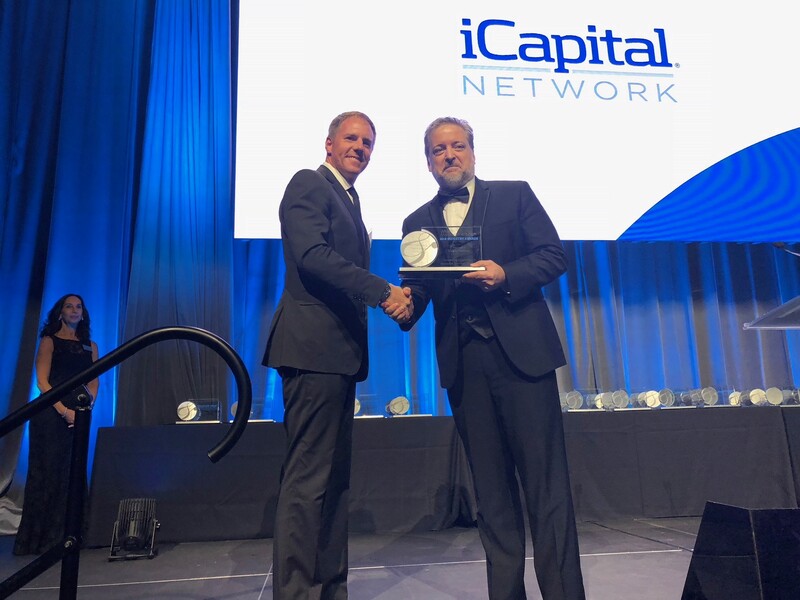 NEW YORK, September 14, 2018 – iCapital Network, the financial technology platform democratizing alternative investments for high-net-worth individuals and their advisers, today announced the firm has been honored in the WealthManagement.com 2018 Industry Awards as the top Alternative Investment Platform. It's an honor to be recognized for the work our team is doing to build the industry solution for alternative investments. We are committed to empowering advisers and their high-net-worth clients with streamlined access to alternative investments, and believe that our sustained focus on technology, education and client success will help the industry grow and evolve.